Create a beautiful shaded retreat even when there isn’t a big leafy tree canopy. Make outdoor rooms with a variety of simple garden and yard structures. Using the outdoors as an extension of the home is an art. Broiling in the sun or summer sun is torture without a gorgeous shade tree but doesn’t need to be. Combining the beauty of the sun and the outdoors takes a little forethought and understand in creating shade. If creating a space that will provide shade for most of the year consider the time of year when shade is desired. Consider also the angle where the sun’s rays will produce the desired shadow at that time of the year. The following structures will give a shade spot. An arched entry can create a spot of shade to walk through. Screened porches provide a shady outdoor retreat. Pergolas attached to the home or permanently embedded in the earth. Artificial plants hanging on trellises or over pergolas. Arbors depend on size and can be attached to porches or decks. All weather curtains hanging from pergolas create a romantic shade enclosed area. Speckled sun gives a fairy tale ambiance through a pergola without plants. An angled fence can create shade at certain times of day and be a spot of whimsy. Brick or stone walls leave a shadow depending where and how placed and the time of day. Sheds come in all sizes and with windows can make a roomy place to store things out of the sun. Carports can be created to shade the car and protect from rain when getting out of the vehicle. Tree houses can be lovely shade retreats even if there is no tree to house them. Fountains can offer shade and the cooling mist of water. Painted cement walls with realistic 3D paintings of trompe l’oeil style can give the illusion of gardens at the same time as the wall provides a shadow. 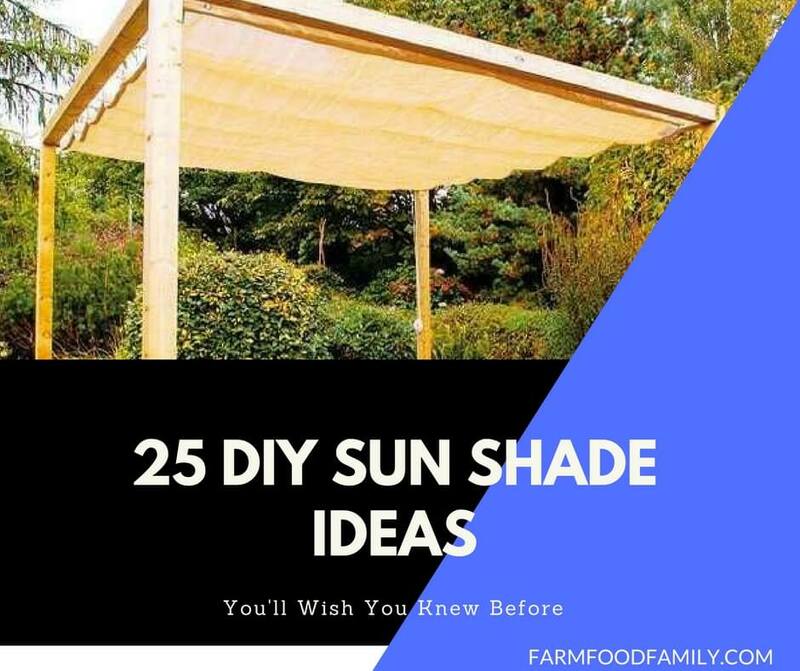 Additional sources of shade, with or without surrounding plants, are suggested. Potted real or artificial plants in large colorful containers can be elevated to provide spots of shade along a walkway. Garden furniture with awnings can be tiltyed in the direction of the sun. Beach umbrellas are sometimes attached to outdoor furniture. Canopies can be set up for large parties or weddings. Bamboo or shades of natural material can be set up on poles to shade a specific area or plant. Parachute material or sail material can be attached to pergolas and trellis or overhung from porches or slanted roofs to create shade. Screened in pool enclosures are a nice spotted shade device. Outdoor tiki hutches with thatched roofs for entertaining offer shade when serving drinks. Shade can be created for the purpose desired even if there are no plants to offer a leafy roof. Determine the need and how often, stand and see where the shadows fall to create or purchase the covering. Shade can additionally be created without trees by selecting certain vines and bushes.